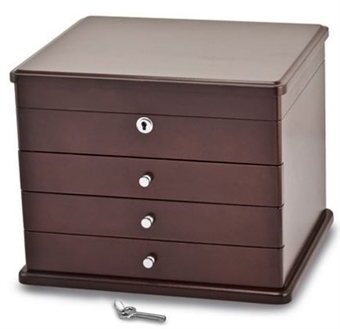 Top locking wooden jewelry box with three drawers. 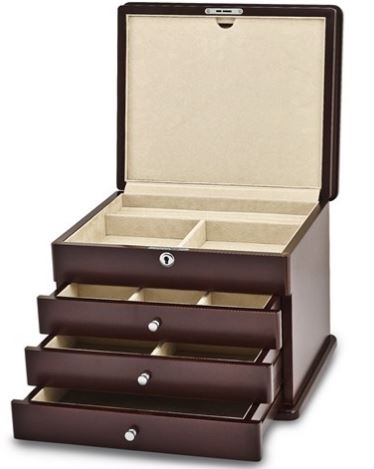 Made of poplar veneer with velveteen interior, this is the perfect jewelry box for medium-sized jewelry collections. The three drawers have variously sized compartments. 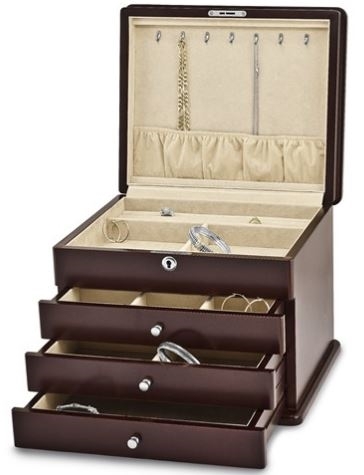 The top section contains ring rolls, multiple compartments, and 7 necklace hooks with a necklace pouch and necklace cover. 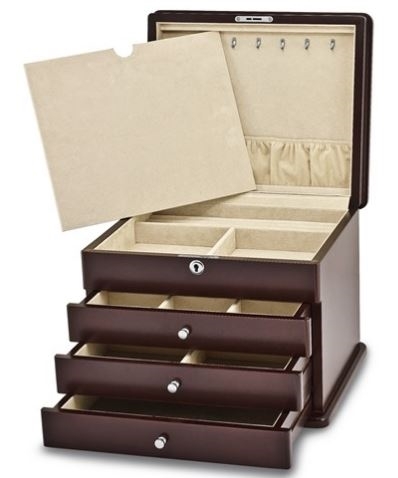 The 3 drawers are made up of 9 fully lined compartments. This elegant jewelry chest measures 13 1/2" wide x 11 1/2" deep x 10 1/2" high. Amish Cherry Hardwood Girls Jewelry Box Cherry Matte Bubinga Single Drawer Locking Jewelry Chest Mahogany Jewelry Chest. Duchess II by Reed and Barton White Jewelry Armoire Cabinet with 6 Drawers and Modern Details.